Köln (Cologne) lies in Western Germany near the Dutch-Belgian border. It is the fourth largest and most populated city in Germany, and number one in the North Rhine-Westphalia region. First thing first in Köln, you must visit the Kölner Dom Cathedral. Take the Bahn to the Hauptbahnhof and when you exit the station, it will not knock the breath right out of you. Construction of the Dom began in the 1200s and was interrupted then resumed multiple times before completion in the late 1800s. Ironically, it has remained perpetually under construction to some degree ever since, as you can see in the photos. The Cathedral is a fine example of Gothic Architecture, and functions as the seat of the Roman Catholic Archdiocese and Archbishop here. In 1996 it became a World Heritage site, and is still the most visited site by tourists in Germany. An unbelievable 20,000 people are estimated to pass through each day. You can climb over 500 steps to a viewing platform near the top of the towers, but prepare for a line. 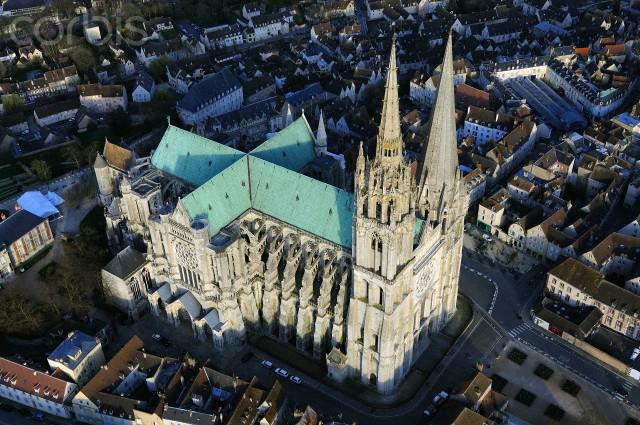 During WWII, over a dozen bombs hit the cathedral. Köln was the most damaged city in all of Germany and over 95% of its population were forcefully evacuated or killed. The roof of the inner chambers are stunning, and as I later learned, shaped like a cross. In 2007, the Dom was gifted brand new stained glass windows through a donation-based commission project. Finally the days of plain glass windows were over. Artist Gerhard Richter designed and installed these beautiful windows that give the cathedral life and fill it with colour. Some tell the story of Köln’s history under Roman then Frankish rule, transition of powers, and battles that took place over the past few centuries. Even the floors and ceilings are beautiful story-telling mosaics. We lit a memorial prayer candles and observed a few moments of silence, until a small choir began to sing hymns which gave us goosebumps. As we left, I was able to get a close up of one of the giant lion heads mounted on the front doors. After touring the Dom, be sure to walk over the Hohenzollern Brücke. This bridge was built in 1907 when the original cathedral bridge succumbed to the strain of Köln’s growing population. It was designed to sustain automobiles, freight trains, and pedestrian traffic but decades later, in the late 1940s, automobile access was revoked. Around 12,000 trains still cross this bridge daily. Hohenzollern’s inner wall is lined with love locks and etchings, and the area is filled with sculptures, installations, memorials, the Philharmonie, and other exciting hot spots. Below is a monument to Kaiser Wilhelm the II, on the left side of the south bank. The German military blew up the Hohenzollern during WWII to keep Allied forces at bay after they initiated an attack against Cologne from across the river. It bought them a little extra time, but the bridge took many years to reconstruct. Crossing the Rhein river is a beautiful view even on a cold, overcast, and foggy day. Time also seemed to freeze, as we stood watching snowflakes fall from the sky slowly, as if we were inside a snow globe. I drank my first locally-brewed Reissdorf Kölsch, which is served in short glass drams instead of the heavy steins and tall glasses I’m used to in Bavaria. I suppose it inspires one to practice more self control, but I was knocking them back like Ursula did with those poor unfortunate shrimp in The Little Mermaid. My friend Silva took me to a German crêperie called LizBät for dinner. We watched intently as the chef poured batter onto huge spinning hot plates, smoothing as they turned. She added hausgemacht tomato sauce and cheese, which would have been satisfying alone, but I chose Crêpe Jürgen which also has shredded beef and mushrooms. Unlike French crêpes, German crêpes are more of a hearty casserole inside a toasted shell. After dinner we found Klub Berlin, a 1920s/30s-era cocktail bar that was calling my name. As a Campari aficionado, I enjoyed seeing this hot pink thriller being served all over town in cocktails and as an aperitif. The following morning we woke up to a bit of surprise snow and rain that carried on for most of my visit. Full of determination against the weather ruining my plans, I picked up coffee next door and a super-processed snack I called breakfast at Lidl, then set out to explore the neighborhood. Ehrenfeld has become the coolest ‘hood in the city, packed with bakeries and cafes, galleries, boutique and antique shops, and newly renovated residential units. Most of these businesses boast green-power, environmentally sound practices, and ethically sourced goods. Zeit für Brot Bäckerei was my favourite cafe here. We had lattes, German quiche full of spinach, artichokes, and onions, then we took some pastries for the road. Unfortunately I can not remember the name of this traditional German restaurant, with its glossy wooden interiors and colossal furniture. I ordered roasted chicken with a poached pear and hollandaise, salad, and potato croquets. Silva ordered traditional Wienerschnitzel and pomme frites (and allowed me to use her photo). There is a lot of interesting art on apartments units and businesses. Living in the southeastern US, most of the murals I see in the wild are confined to alleys, abandoned warehouses, or “hip” new bars. In this photo you can also see the Colonius TV tower of Köln. It’s no Fernsehturm, but still catches the eye. By mid-afternoon, the rain was falling so hard I was not able to get many usable photos. That being the case, we hopped on a double decker bus and rode around safe from the elements. Remnants of the city’s medieval walls can be found lurking behind commercial streets or less populated areas. Some have even been incorporated into the new landscape.